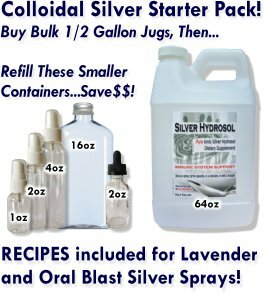 This is my first time trying colloidal silver and let me tell you I am a believer. I was coming down with a cold so I started taking the silver about every hour or so. You know how those first couple of nights you can't sleep well because of congestion and having to wake up in the middle of the night to blow your nose? Well The first night I blew my nose one time before going to bed and slept all night! I was over it in 2 days with very mild symptoms! A first for me! I have also been using the spray on cuts on my kids with fast healing time and little, if any, scarring.